Archaeologists study past human behavior. We do so using material evidence left behind that tells us of that behavior. Artifacts and architecture retrieved from the past may be esthetically pleasing, but ultimately archaeologists are most interested in the people who made or built these things to answer questions such as who, what, when, where, and why? Occasionally, we encounter artifact assemblages or architectural features that are incredibly well preserved. They appear to be almost pristine, as if their owner, or maker, just briefly stepped away and is about to return any minute now. I would call these discoveries and the sentiment they evoke “moments frozen in time.” Here are a few examples. What do a Roman ointment jar, Roman legionnaires’ letters written on thin wooden tablets, a Maya priest’s lunar calculations made on a whitewashed wall and a Maya altar discovered in a cave have to do with each other? Simple: they all represent moments frozen in time. Some two millennia ago, a well-off Roman closed the lid on a jar containing a skin cream. It was not until July 28, 2003 that archaeologists opened it. Humble in its appearance, this small tin container had been unearthed during excavations at a Roman temple complex in Southwark, London. It showed very little wear and tear, making it a very remarkable find. Better yet, inside the container the scientists found what appeared to be cream, complete with fingerprints. We will never know how the jar got discarded, nor what happened to its owner, but it represents a moment frozen in time. A few hundred miles to the North of Londinium, as London was known in Roman times, soldiers manning Hadrian’s Wall did what most soldiers do during peacetime: they wrote letters about very mundane things. The Wall, which had been built on the orders of Emperor Hadrian after a visit to the region in 122 AD, consisted of a 73-mile long stretch of mile castles and observation turrets, marked the northernmost borders of the Roman Empire. 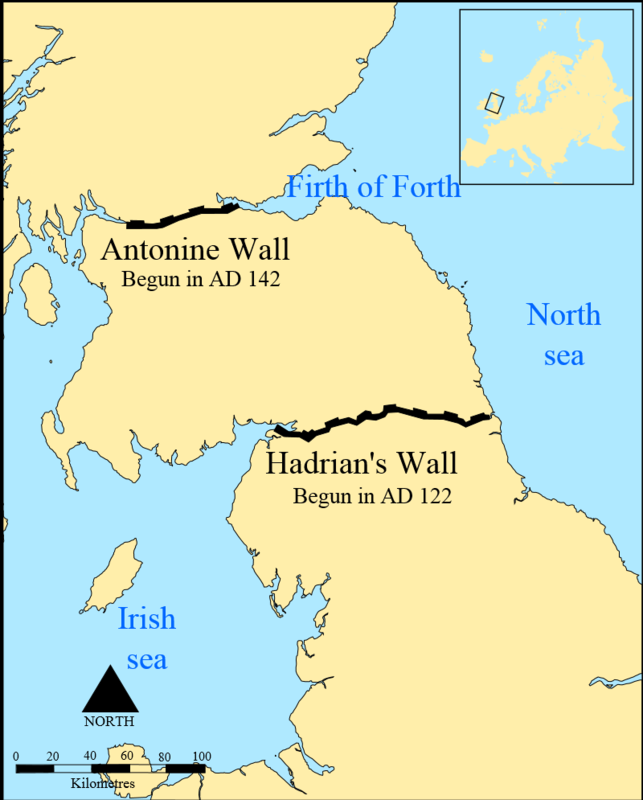 While for a brief period of 20 years, this distinction went to the Antonine Wall in Scotland, Hadrian’s Wall marked the northern border of the Roman Empire until 410 AD. (Vindolanda tablet 291. 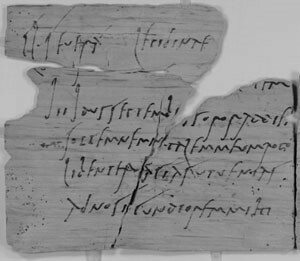 Letter from Claudia Severa to Sulpicia Lepidina.). Another missive deals with socks, shoes and underwear, all important creature comfort items in the chilly climes of northern Britain. These brief messages give us a glimpse into daily life of regular human beings. Scholars who have looked at the hundreds of Vindolanda tablets recognize the quirks of individual handwriting. It takes us one a step closer to the person who one day sat down and wrote a birthday invite, or alerted a friend about a shipment of warm socks and underwear. Fleeting moments, to be sure, but also moments frozen in time. Roughly at the same time as British archaeologists were discovering the first wooden tablets at Vindolanda, looters were busy pilfering the Maya site of Xultun, in northern Guatemala. Sadly, they did extensive damage to the site, including to a small corbel-vaulted structure, known as Structure 10K-2. It was not until 2008 that professional archaeologists got an inkling of what was hidden inside this structure: three of the structure’s interior walls (west, north, and east), as well as its vaulted ceiling, were once covered by paintings. On one of the walls, it appears that a layer of whitewash had been applied, covering an existing painting. The wall had been resurfaced to allow jotting down lunar cycle calculations. 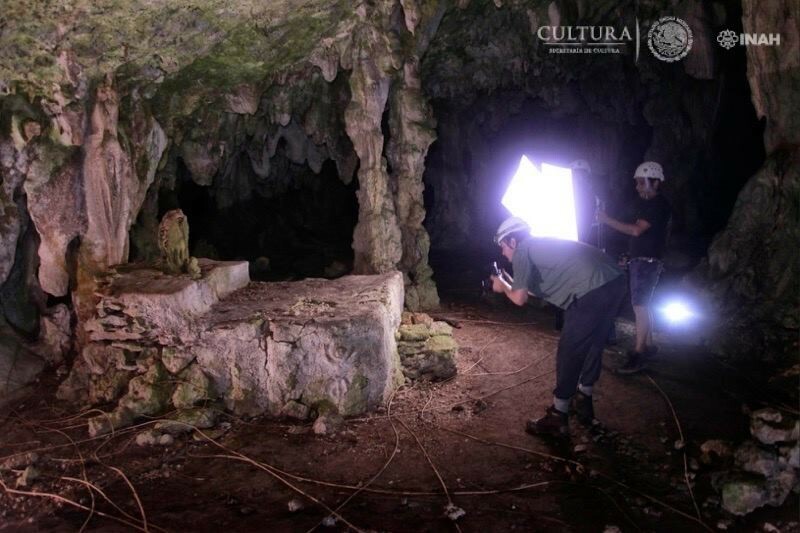 Archaeologists now think that Structure 10K-2 may very well represent a workspace of a Maya scribe whose job it was to be official record keeper of a Maya community. Imagine the day this individual walked in, covered the wall with an extra coating of white paint, and started making calendrical calculations. Once these were done, the individual walked away, and the wall remained unchanged for more than a millennium. The spontaneity with which the wall was repurposed contrasts with what must have been the initial function of that room. This impulsive act was preserved for posterity; it represents another moment frozen in time. The altar has been dated to the early Postclassic period (900 – 1200 AD). It is still covered with stucco, decorated with human, animal and abstract shapes. 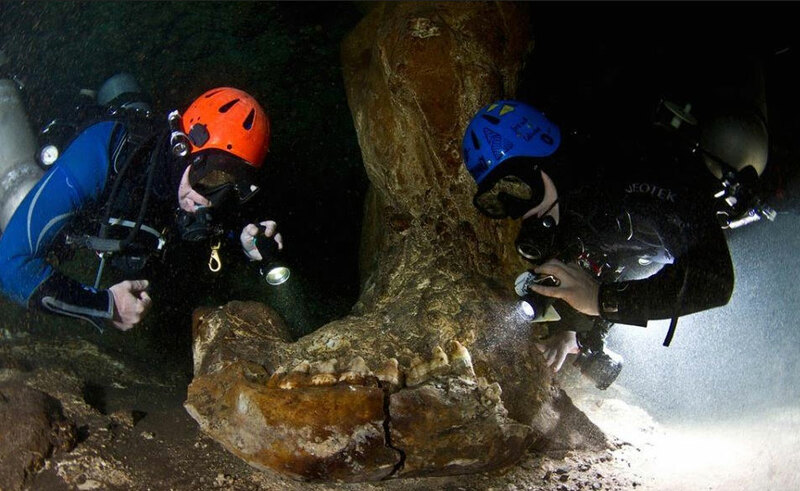 Associated with the altar was a large fragment of a stalagmite (said to have been linked to fertility by the ancient Maya). The ointment jar, the wooden tablets, the calculations made on a wall and the altar found in a cave are all fleeting reminders of what people once did in the past. Their delicate nature makes the survival of these items all the more remarkable. I often wonder what future archaeologists might discover about our own society that would fall in the same category of a “moment frozen in time.” Any ideas? Are Emojis The Same As Hieroglyphs?